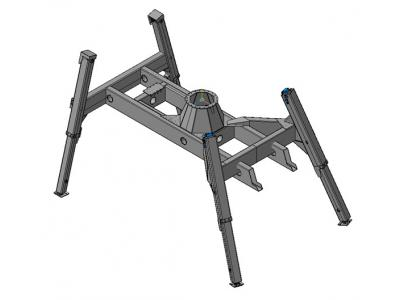 The supports are designed to provide stability against overturning autohydrolifts at work. The estimation of the strength and stability avtopodomnika supports. Subframe autohydrolifts - steel welded construction with extendable support members (outrigger). Departures outrigger by means of a hydraulic cylinder mounted inside it. In the transport state of the outriggers are folded, and the car with the lift frame is supported on wheels. In operation, the entire mass autohydrolifts rests on the ground by the outriggers. 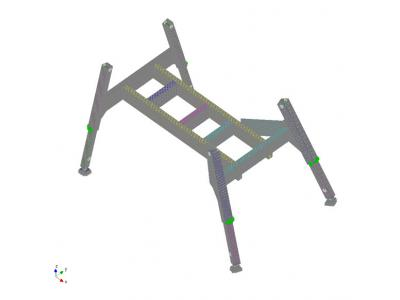 The computational model was formed on the subframe basis sent by the customer 3 dmodeli (Fig. 2). 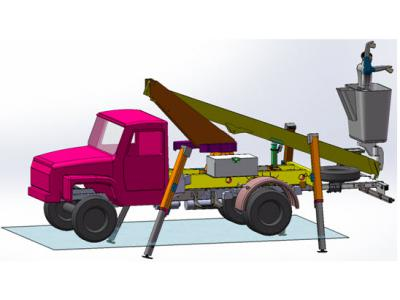 The calculation was made for the operating position to load a combination comprising: own weight; weight of the vehicle chassis; cargo carried in the frame lifter vehicles; the load from the boom, with cradles. 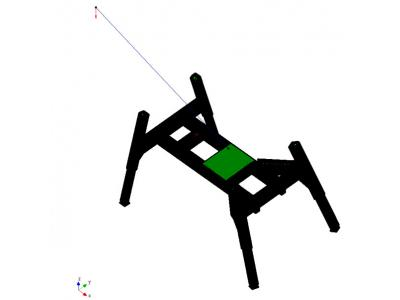 The calculation was made for different angles of rotation of the boom. Calculation outrigger strength produced in the module for calculating the stress-strain state, stability, natural and forced oscillations of parts and structures using the method of finite elements - APM Structure3D, is part of the computer-aided calculation and design of structures, industrial and civil engineering APM WinMachine 12. 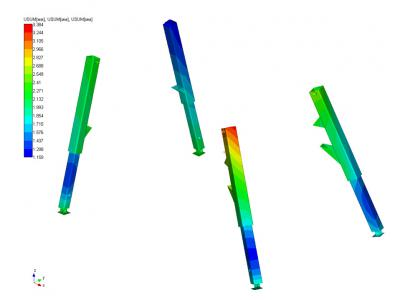 As a result of calculations obtained outrigger card design stress and strain state under operating loads. Below are maps for one of the provisions of the boom. 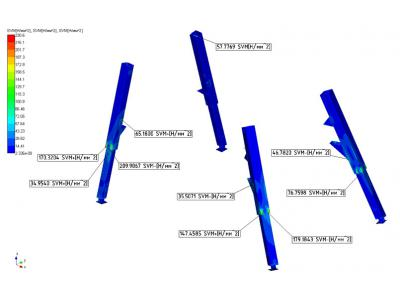 Since the task was the calculation of support, then the results are shown only for the outriggers. 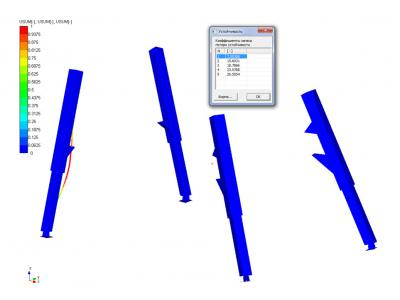 Analysis of the results of static analysis shows that for given loads, equivalent stresses arising in the structure autohydrolifts outrigger frames, do not exceed the design resistance of the materials used, i.e. outriggers strength is provided. Stability is also provided with outriggers.